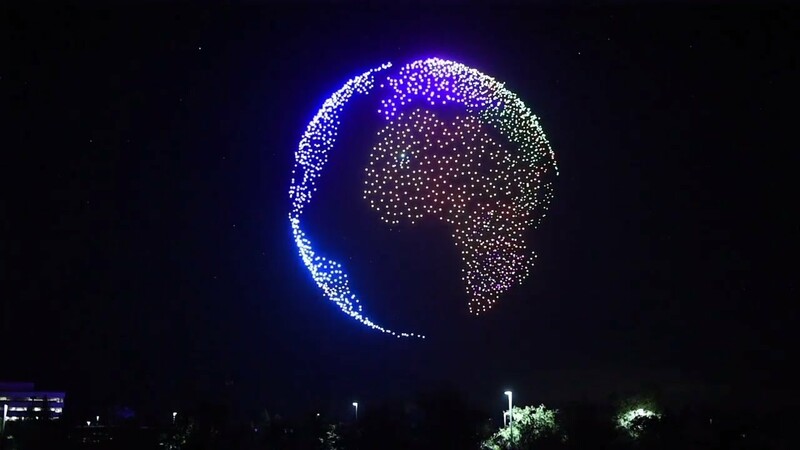 Intel dazzled its Folsom audience on July 15, 2018 with a spectacular light show designed to feature 1,500 drones, in an effort to outdo its previous world record of 1,218 Intel Shooting Star drones. The performance displayed multicolored choreography including bright, fireworks-like orbs. A single pilot mans the entire fleet of light-emitting remotely controlled machines. flat earthers gonna be pissed….